MARKSVILLE, La. -- A 6-year-old boy was killed and his father critically wounded after marshals for a central Louisiana city fired at their vehicle as the father was trying to flee, officials said. The boy's grandmother said he was autistic, CBS affiliate WAFB reported. The two were shot about 9:30 p.m. Tuesday in Marksville, La. Avoyelles Parish Coroner L. J. Mayeux identified the driver as Chris Few and his son as Jeremy Mardis, a first-grader at a nearby elementary school. The coroner said Mardis died from multiple gunshot wounds to his head and chest. Few was listed in serious condition Wednesday morning, according to hospital officials. Mayeux said city marshals were chasing Few after he fled an attempt to serve a warrant. The coroner said Few reached a dead end and was backing into the marshals when they fired. The coroner said the boy was "caught in the line of fire" and was killed. "More likely than not they were shooting into the driver side, and he was on the passenger side," Mayeux said. 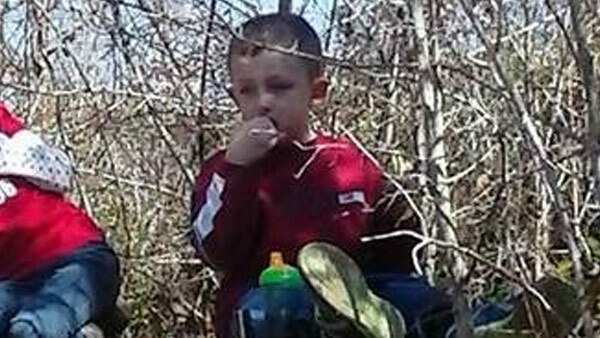 Few's grandmother called the boy "a special gift from God" in a statement to WAFB. "He was diagnosed with autism when he was 2. He loved everyone he met and they loved him," Samantha Few said in the statement. "As far as what caused his death, the only thing I have been told is he died from gun shot wounds. He didn't deserve what happened. He wouldn't hurt a fly." It was not immediately clear what type of warrant the marshals were trying to serve. The city marshals work for the city courts and serve warrants, carry firearms and have police powers, according to the mayor's office. State police are handling the investigation, but they provided few details. Dauzat said grief counselors were sent to Mardis' school, the Lafargue Elementary School in Effie, a community north of Marksville. Dauzat said Mardis had no siblings in the school system.